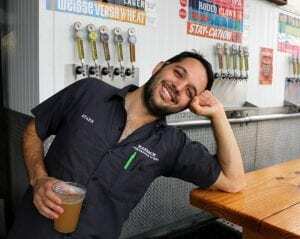 You are here: Home / Meet the Brewer! 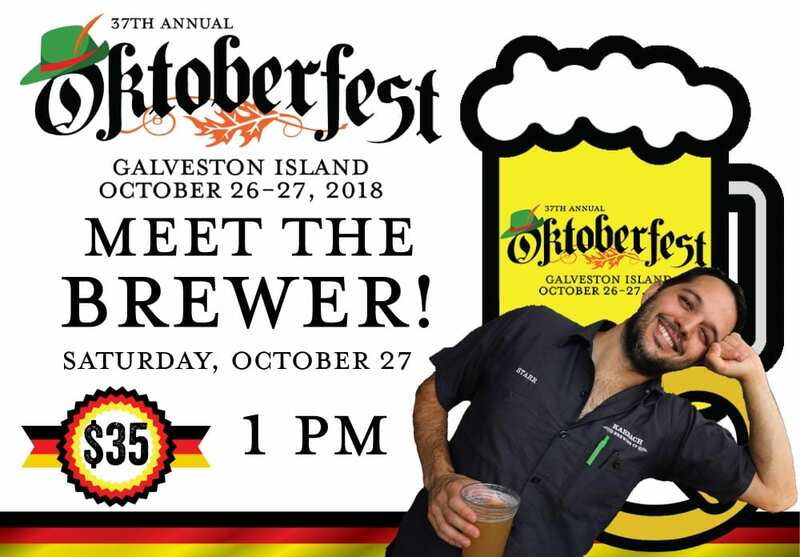 Brian Starr, Innovation Manager at Karbach Brewing Company (headquartered in Houston, TX), will be leading a “Meet the Brewer” event at Oktoberfest. 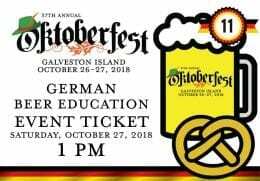 This hour-long session will begin at 1:00 pm, Saturday, October 27, on the festival grounds, and will include tastings of 4-6 Karbach beers, paired with a Bavarian pretzel (called Brezeln or Brezen in Germany). 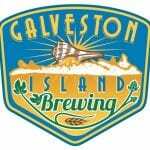 Participants can learn the story behind the beer, as well as ask questions. Class size is limited to 35 people, first come, first served. Tickets are $35 each in advance or $42 at the event. 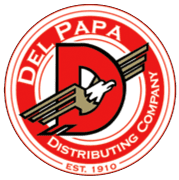 TICKETS ON SALE NOW – SEE AVAILABLE TICKETS BELOW! Brian started in the cellar at the brewery and worked his way into the role of Innovations Manager where he collaborates with various departments (marketing, sales, production) to develop new beer ideas and distill them into recipes. With the guidance of Brewmaster Eric Warner and Head Brewer Chris Juergen, Brian evaluates various test batches, tweaks to perfection, and scales to production. Brian attended Michigan State University where he earned a Bachelor’s Degree in Chemical Engineering and a Masters Degree in Engineering, focusing on water treatment.